Y’all know about my love for smoothies. But another favorite treat I love to make is a homemade milkshake. 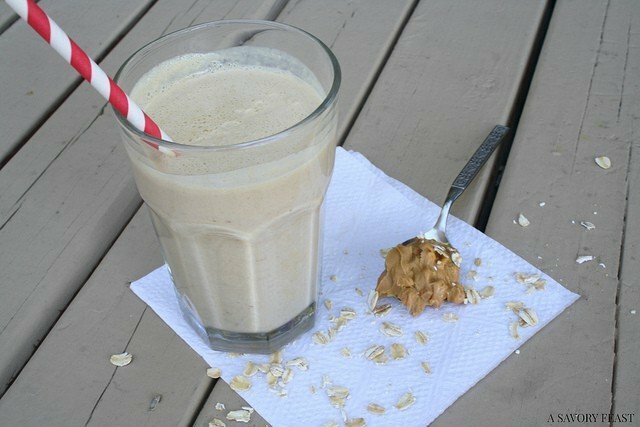 This Peanut Butter Oatmeal Milkshake is super easy — you only need four ingredients! The other day I came home from work and was starving. I still had a few hours before dinner, so I needed a filling snack to hold me over. 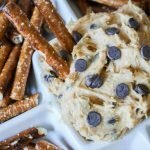 I was craving peanut butter, so I decided to figure out something to make with it. Most of the time, milkshake recipes include ice cream. I wanted to keep this shake a little healthier, so I decided to try another ingredient to thicken it up. 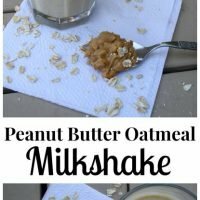 I love adding oats to my smoothies, so I decided to try it with a milkshake. 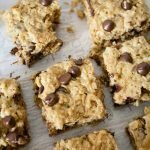 The result was reminiscent of a monster cookie thanks to the combination of oats and peanut butter. It was delicious, and the perfect thing to hold me off until dinner! This peanut butter-y shake is great for an easy dessert, too. It’s much better for you than a sugary dessert, so it’s a great way to curb cravings. What’s your favorite afternoon snack? Looks good. My kiddos will beg me for this every day!! Hope to see you over at Show Me Saturday this weekend. 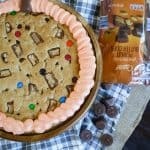 And you won’t even mind, because it’s so easy to make! This looks delicious. Think it could work with sun butter? Favorite afternoon snack: Pizza. Just a slice. I’m sure it would! It would have a different flavor, but the consistency would turn out about the same. Ooh! I have all these things on hand, and I think I need a milkshake to combat the fever that’s keeping me home sick. I may even try it with some of my pb2 powder. Let me know how it turns out with the PB2 powder. I’ve been wanting to try that sometime. Thanks! It turned out sooo good! I love anything that has peanut butter in it!! 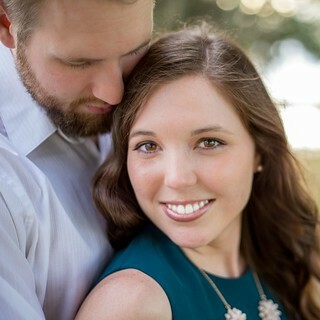 I would love if you would share on my Friday Favorites linkup! You will love this milkshake, then! Enjoy. 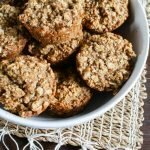 This might be a silly question but the oats are old fashioned and raw right? They are not cooked ahead of time? That’s right! No need to cook them, just throw them in straight from the container. Yum! I bet this would be really good with a banana too. I don’t like bananas, but I’m sure they would be great in this milkshake. You should give it a try! Yummy!! I’m missing oatmeal lately, hoping that my body will be able to handle it in a few months. Oatmeal is a staple for me. It’s especially good in this smoothie. I hope you can try it sometime!